Despite holding an English Literature degree, I’ve never really connected with any classic literature. The exception to that rule is Charles Dickens. I can’t quite explain what it is about his writing that whisks me off to another world, or why I find myself so fascinated with his life outside of writing, but it’s the way I’ve been wired ever since I studied Great Expectations in High School for exams. Recently I took a visit to London for some theatre shows and, of course, I had to take a stop by the Charles Dickens museum at 48 Doughty Street. In 1837-1839, Charles Dickens used this house as a base as his popularity with his writing began to soar. During his time there, he wrote well-known works such as Oliver Twist. For £9.50, guests get to explore the various rooms that Dickens, his family, and his servants occupied. While likely biased, I found it well worth the money as you’re given a free guide that gives information and there are plenty of plaques around giving out a plethora of knowledge, a lot of which I didn’t have prior. I was able to see the reading table Dickens used in his public performances, the desk he wrote some of his books at, the copyright contracts with his authors, what his books looked like in serial form, and some of the belongings from his main residence in Kent. It was overwhelming to climb the stairs knowing that one of my favourite authors once lived and breathed here and I felt incredibly close to him. It was as if the years were rolling away and I was alongside him in the 1800s, in the hustle and bustle of a middle-class home. I find these aspects of history so mind-blowing: that we have record, to an extent, of people who lived hundreds of years before we were born and these traces in the present day showed that they once existed. That, even though they have long since left the world, their memories and stories can live on forever; as long as people keep sharing them. With a whole new wave of people – myself included – falling head over heels for To All The Boys I’ve Loved Before, it was only a matter of time before someone created a tag. (And that lovely person was Frankinesce) but the wonderful Jemma of Fantastic Books was kind enough to tag me! Who knew I had bookish friends?! I’ve also decided to do the same as Jemma and write letters to the books I’ve chosen! While you are by no means the first book I ever fell in love with, you were the first classic to capture my heart. When I sat in that English class and heard we’d be studying another lengthy classic I’d probably hate (ironic as I went on to do an English Degree) we read chapter one and eight of your story for analysis and I was hooked. The following weekend I convinced my mum to buy me the book and you’ve been a firm favourite ever since. And yet, it’s hard to place why. The cast of characters are so diverse, as always with your creator’s works, but there’s no one I really relate to or see myself as. But I think the themes of feeling like you have to prove your worth to others constantly and the endless comparisons to those in better positions is still all to prevalent in daily life. Also, I think Pip should have stopped chasing Estella. Hi, it’s me again. Sadly I admit it’s been quite a while and we didn’t get on the last time I paid you a visit, but I felt I needed to check in. 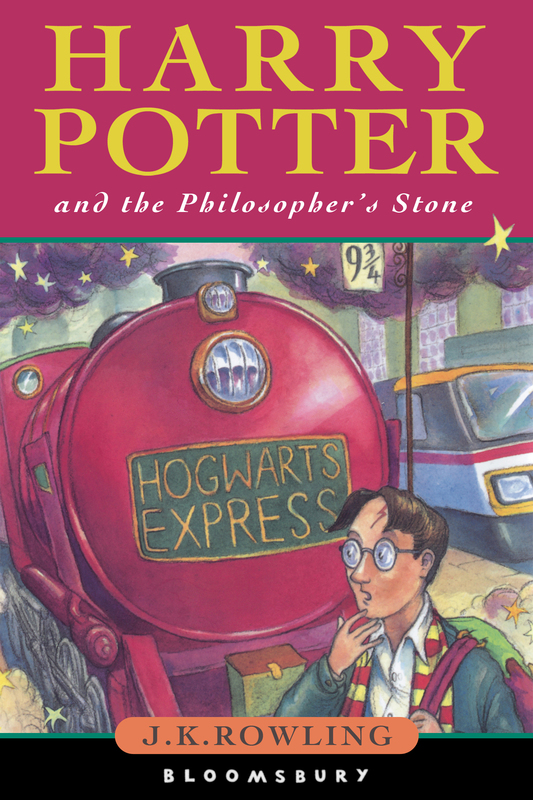 Obviously there are many books that came before you, but you are the first series I remember reading before Harry Potter came along and swept you under the bed like Woody in Toy Story when Andy brings home Buzz Lightyear. You gave me my first thirst for not just fictional worlds, but magical ones. From talking animals, to princes and evil witches and doors at the back of wardrobes. I remember exactly how it felt to read you that very first time: the way it made my heart pound as I thumbed the pages. It’s like a permanent time stamp in my memory. Sadly, as you remember from our last meeting, it seems I have outgrown you. And I’m not really sure what to do or say about it. But just know that the younger version of me loved you very much, and that will never change. You are the first time I saw my sexuality in fiction and it was a big moment for me. That simple line where you made your declaration without caring about what anyone else thought has given me the courage to start doing the same. I found comfort in you and the stories you littered and you’ve given me the self-love and bravery in terms of my sexuality that I hadn’t possessed before. The fact that you also play an important part of the series shows that you can stand at the forefront and you can be loved. Admittedly, I only read you because of the news of a movie adaptation, but I could never have prepared myself for how much of a place you’d take up in my heart. I relate a lot to Nick and how he always assumes the best in people only to get burned later on, and how he has this innocence and wonder for the big city. I love the theme of not being able to let go of the past and how Gatsby is so eager to replicate everything when he gets a chance to meet his lost love again. But the fact he wants them to be the old versions of themselves leads to his inevitable downfall. There’s so much to think about in such a short book. The reasons I love you are seemingly endless, as you well know. Whenever I need to take some time away from the real world and return to my familiar friends in th wizarding world, you’re always the one I turn to. I think this is because you’re the real game changer in the series. As history seems destined to repeat itself, that sense of hopelessness creeps in but you provide that flicker of light; the way to win. We have to be careful who we trust and start to learn the importance of having a support network. I also really value the Septumsempera chapter because it shows that Harry and Malfoy are parallels: they’re both two boys forced onto paths they never wanted or expected, caught up in something so much bigger than themselves. I’ve been thinking a lot recently about the importance of opening lines. After all, once you get past the blurb and the cover, it’s those precious first few sentences that can captive your attention and encourage you to delve further into the story. So I’ve decided to share some of my favourite opening lines with no summaries of what the stories are about. Quite simply just the opening lines. My father’s family name being Pirrip, and my Christian name Philip, my infant tongue could make of both names nothing longer or more explicit than Pip. So, I called myself Pip, and came to be called Pip. I give Pirrip as my father’s family name, on the authority of his tombstone and my sister – Mrs. Joe Gargery, who married the blacksmith. As I never saw my father or my mother, and never saw any likeness of either of them (for their days were long before the days of photographs), my first fancies regarding what they were like, were unreasonably derived from their tombstones. Here is a small fact: you are going to die. All Children, except one, grow up. They soon know that they will grow up, and the way Wendy knew was this. One day when she was two years old she was playing in a garden, and she plucked another flower and ran with it to her mother. I suppose she must have looked rather delightful, for Mrs. Darling put her hand to her heart and cried, “Oh, why can’t you remain like this forever!” This was all that passed between them on the subject, but henceforth Wendy knew that she must grow up. You always know after you are two. Two is the beginning of the end. I write this sitting in the kitchen ink. That is, my feet are in it; the rest of me is on the draining-board, which I have padded with our dog’s blanket and the tea-cosy. I’d never given much thought to how I would die – though I’d had reason enough in the last few months – but even if I had, I would not have imagined it like this. I stared without breathing across the long room, into the dark eyes of the hunter, and he looked pleasantly pleasantly back at me. Surely it was a good way to die, in the place of someone else, someone I loved. Noble, even. That ought to count for something. I had just come to accept that my life would be ordinary when extraordinary things began to happen. The first of these came as a terrible shock and, like anything that changes you forever, split my life into halves: Before and After. Like many of the extraordinary things to come, it involved my grandfather, Abraham Portman. What are some of your favourite opening lines? 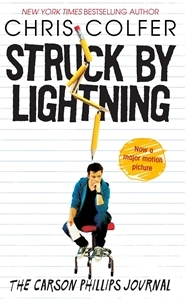 Carson Phillips from Struck by Lightning is in his final year of high school and in the process of applying to University. To make himself stand out more on his application he tries to set up a Literary Magazine at the school. But there’s one problem – he isn’t exactly at the top of the social food chain. He uses his outsider knowledge of the populars to try and get them to write for his magazine the only way he knows how: by blackmailing them. Pip in Great Expectations goes through one of the biggest transformations I’ve read. He starts off as a lower class orphan boy helping out in his sister’s husband in the forge. When given the opportunity to meet with the mysterious Miss Havisham things for Pip start to take a turn in a brighter direction, and soon he is heading off to London to learn how to become a Gentleman. If you haven’t read Harry Potter then return to the rock you’ve been living under and never speak to me again! For me, it’s frankly impossible to NOT pick this book series for this one. The cast is just so eclectic from the muggles to wizards to squibs to the houses to the animagi and various species. As someone with a love of literature who extended that passion on to a university degree, I’ve had to muddle my way through a lot of classics. 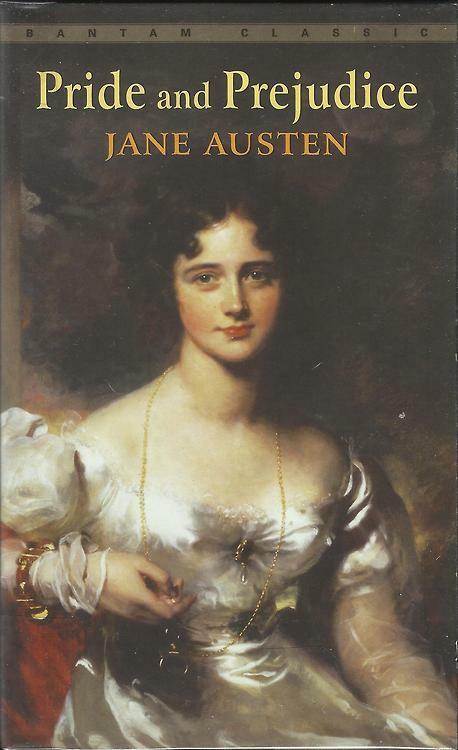 By far the worst has been Pride and Prejudice which I’ve had to re-read a lot of times. I just find the story so boring and the characters don’t really do much to save the plot. Not to mention Mr Darcy is awful and I can’t understand why anyone could possibly want someone like him. 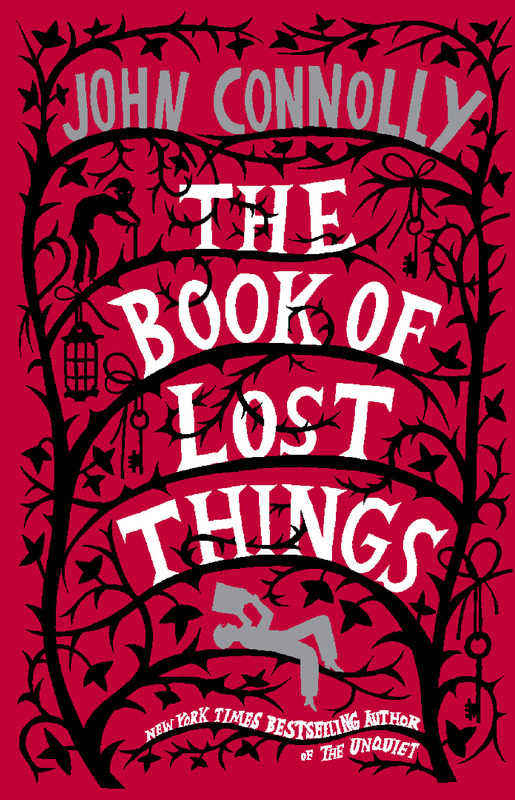 The Book of Lost Things follows David, a boy who loves books -especially fairy tales – and loves reading them to his ill mother. Sadly, she dies. Twelve year old David suffers badly from this loss and my heart just went out to him. I wanted to climb into the pages and give him a hug. Anyone who knows me, will know that I can read a 400 page book in two days if I just sit down and read. 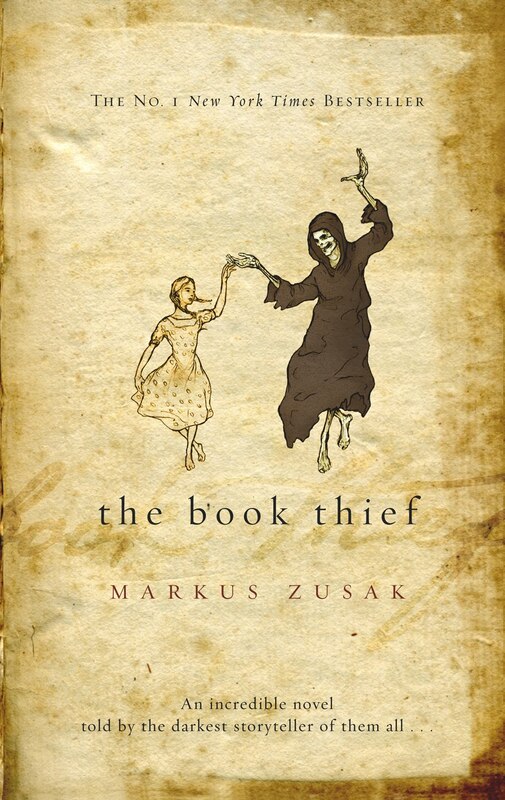 I came across this book not long after its release and heard it was a beautiful book (just like the cover!) so I bought a copy. It’s a monster of a book and took me over a month to read because it’s rich and well written. The writing is unbelievably beautiful and I don’t think I will ever find a book as beautiful as this one. 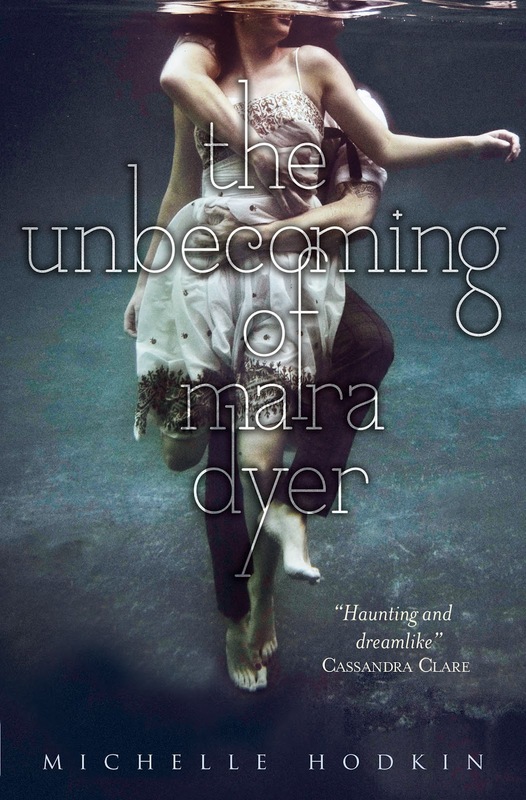 One specific event in The Unbecoming of Mara Dyer really sticks out at me for this one which is what I refer to as “the dog incident”. One day when Mara is coming home from school she finds a dog chained up in someone’s garden. The dog is clearly neglected and when she stands up to the owner, a not very nice man, she walks away wishing that something bad would happen to him. A few days later he is found dead in his home and the dog gets taken away to a better place. 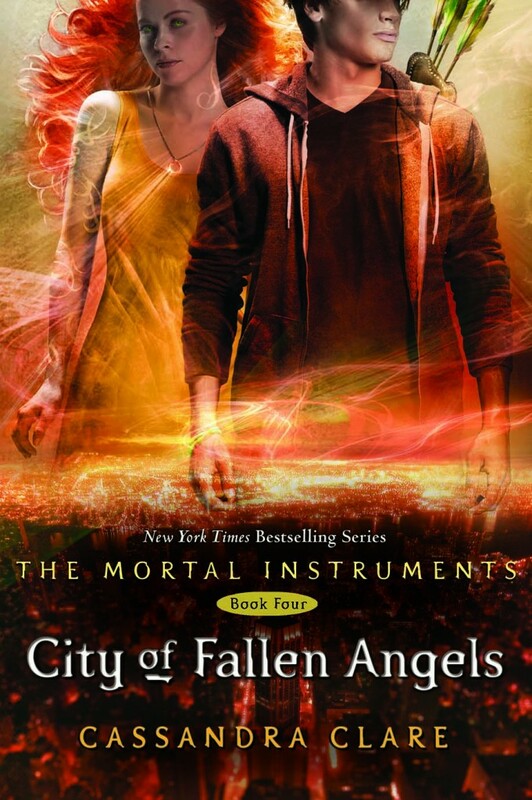 This book follows Tris, a sixteen year old who has her choosing ceremony coming up in which she must decide whether to stay or move factions. Each faction operates under a certain personality type and to help decide where you fit best you have to take a test prior to the ceremony. 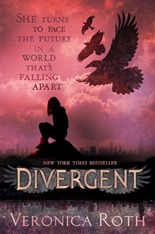 Tris’ results reveal that she fits into three of the five factions which makes her “Divergent.” These types of people are dangerous to society and slowly being killed off. So Tris has to hide the fact she’s Divergent and try to fit in. 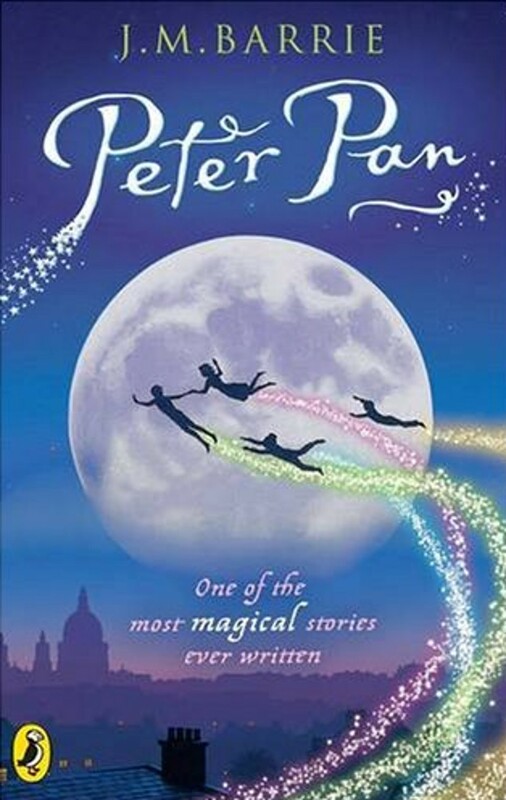 Peter Pan is my all-time favourite book and the reason I decided to pursue a life as a writer. If I could have any collection of characters come to life it would be the ones in this story. I can think of nothing better than flying through the sky with Peter Pan and fighting pirates with the lost boys. One of my favourite “villains” is Camille Belcourt from The Mortal Instruments series. She’s just so sassy and evil and yay for vampires. She messes things up between Alec and Magnus but I love everything she does in this series. Without a doubt Great Expectations is one of my favourite books. I was introduced to this book (and Charles Dickens) in High School when we were studying Chapters 1 and 8 in my English class. I instantly fell in love and brought the book as soon as I could. There’s just something about the characters, story and writing that ha stayed with me over the years. So when Undon Entertainment sent me a manga edition of it to review, I was overjoyed. 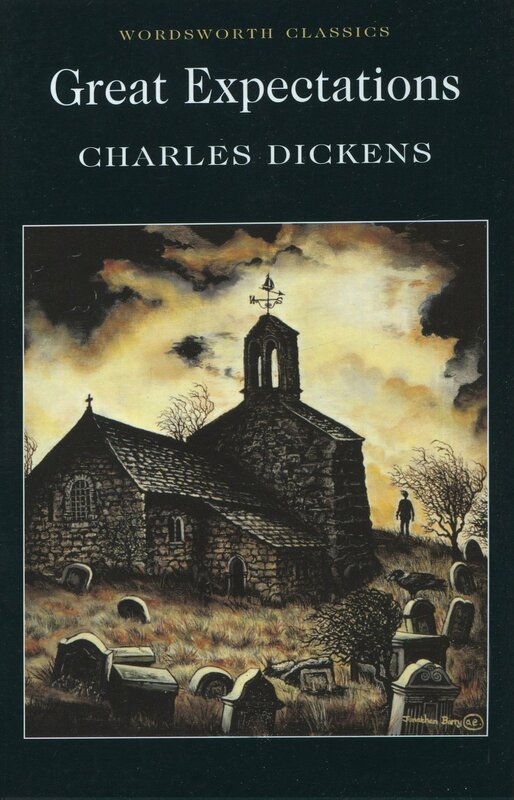 If you want to read Great Expectations but the idea of tackling Charles Dickens’ wordiness makes you want to run away, then this is the edition for you: a lot of the story is condensed, leaving behind the important plot points to focus on. The art is utterly beautiful, the design of the characters is so distinctive and just so elegant. Not to mention the scenery images are gorgeous.The only issue I have is that Pip is from a low class background and can’t read or write well, let alone speak at an “acceptable standard” but in this edition, he speaks like someone educated from the very start. I felt like this was out of character. 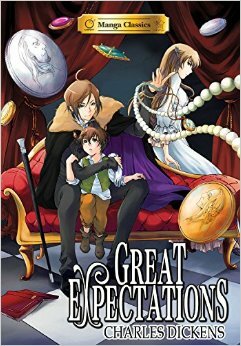 I’m happy that a manga classics series is allowing more people access to Dickens. And if you’re a manga fan, I highly recommend this!